Providing an affordable, client-focussed service with built-in flexibility to enable us to react quickly to your needs. 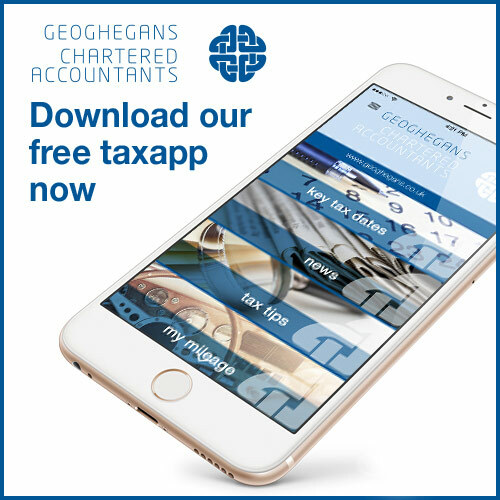 Download for FREE now https://geoghegans.mytaxapp.co.uk/ and simply save to your home screen. Geoghegans is an Edinburgh-based firm of chartered accountants. We offer a wide range of services and seek to be refreshingly unique in how we deliver them. Getting to know us could be one of the best moves you ever make. Why unique? Since 1918 we’ve done things our own way, preferring to remain resolutely independent, despite major consolidation within our industry. Today, we are justly proud of being one of Edinburgh and Scotland’s major independent chartered accountancy firms – with all the attendant advantages for our clients. We have a passion for helping small and medium-sized businesses succeed. Each of our Partners gained experience in large international accountancy practices before choosing to work in a more client-focussed environment. Our growth is built on the success of our clients. Everyone at Geoghegans shares the ambition to continually develop and improve on what we do and how we do it. In today’s fast-changing environment, this approach is essential in ensuring that we deliver and maintain a high quality year-round service to all of our clients. We hope that this website gives you an insight into what makes us different.